You know that moment when you’re reading a really great sounding recipe and you hit the ingredient you despise or the method of cooking that seems beyond your abilities or the cooking time that would eat up your entire day? For me, that moment usually involves a grill or a vat of oil. Beyond a George Foreman, my grilling skills are non-existent. Lately, I’ve been loving the 30-minute supper recipe cards in Cook’s Country Magazine. They’re quick and delicious. When I read “Indoor” on the pulled pork recipe, I let out an exclamation of glee. 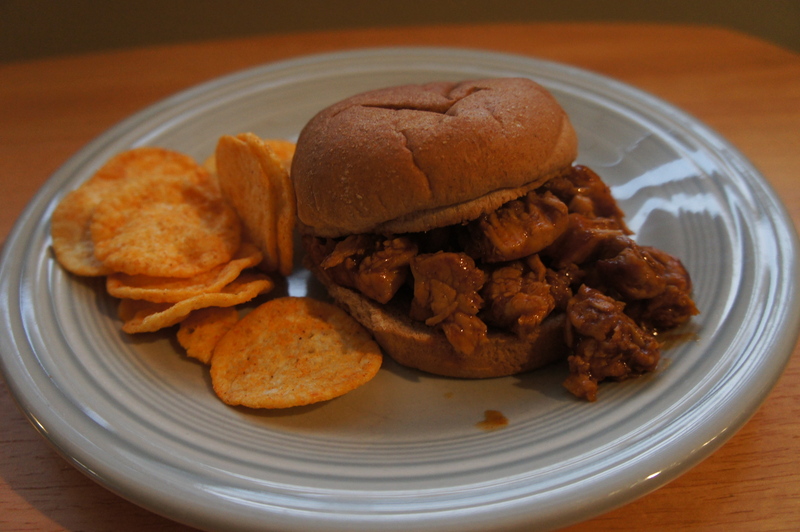 Pulled pork is one of those recipes that is typically grill-exclusive or left to the all-day slow cooker. This version couldn’t be easier and more importantly, tasted phenomenal. The only downside (or upside!) is that shredding the pork is an upper body workout. 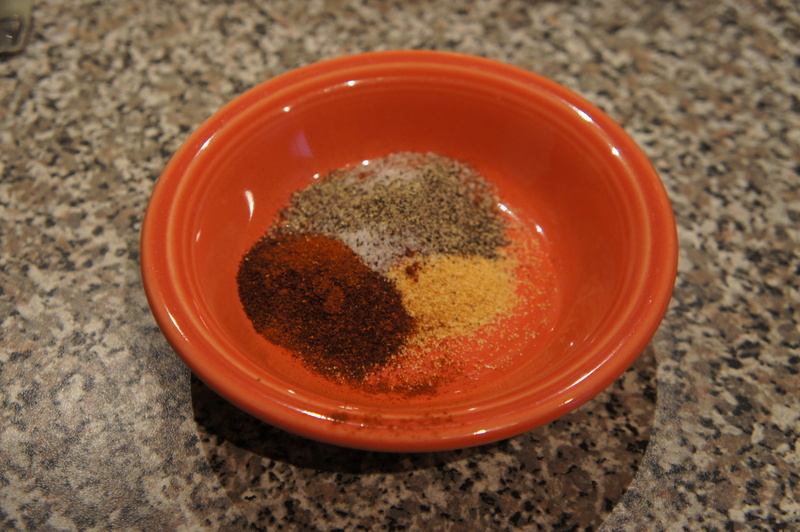 Combine chili powder, paprika, garlic powder, 1/4 teaspoon salt, and 1/4 teaspoon pepper in small bowl. 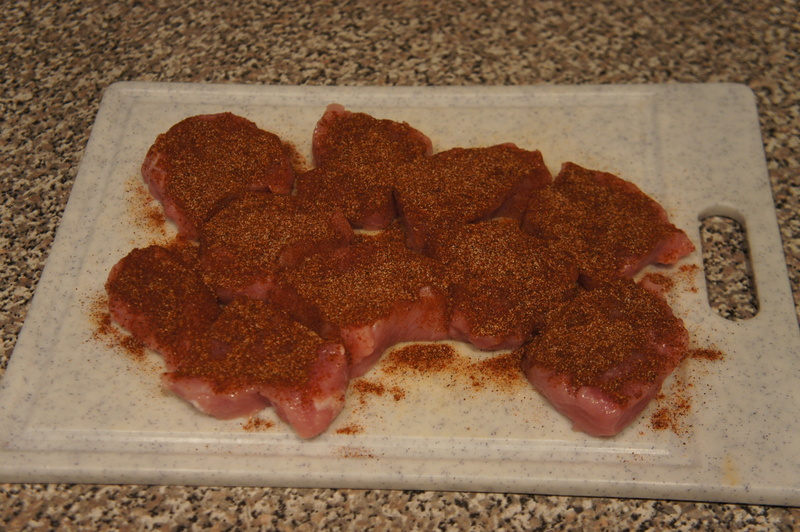 Pat pork dry with paper towels and sprinkle all over with spice mixture. Heat oil in large skillet over medium-high heat until just smoking. 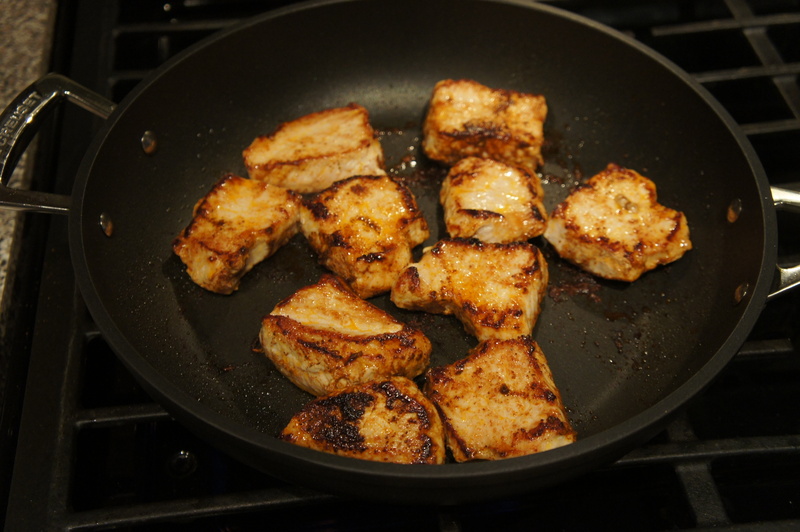 Add pork, and cook until well browned, 4 to 5 minutes per side. 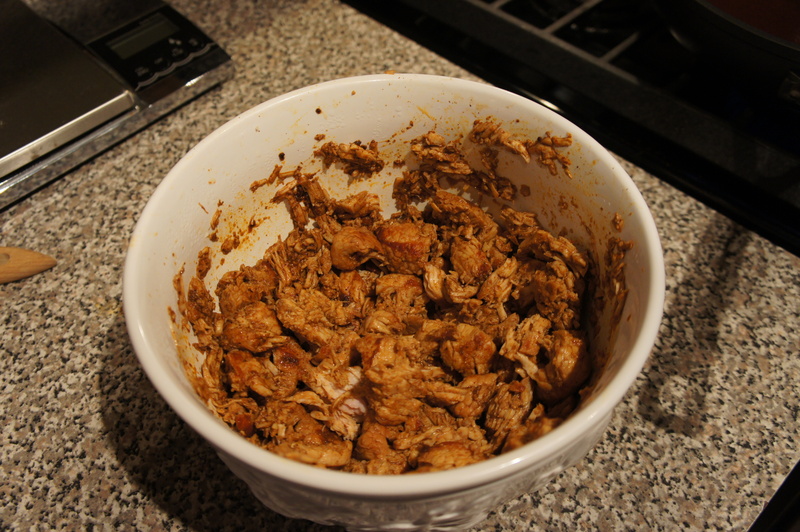 Transfer pork to a larger bowl, tent with foil, and let rest about 5 minutes. Using 2 forks, shred meat into bite-sized pieces. 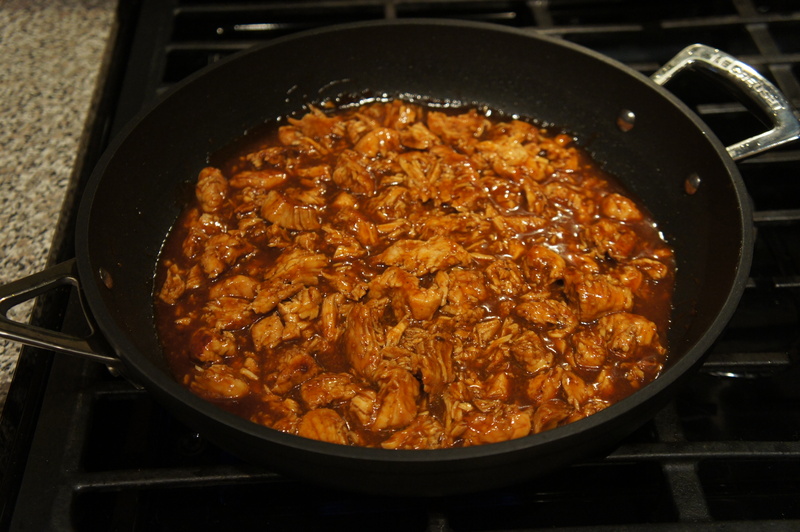 Meanwhile, add broth, barbecue sauce, and vinegar to empty skillet, scraping up any browned bits. 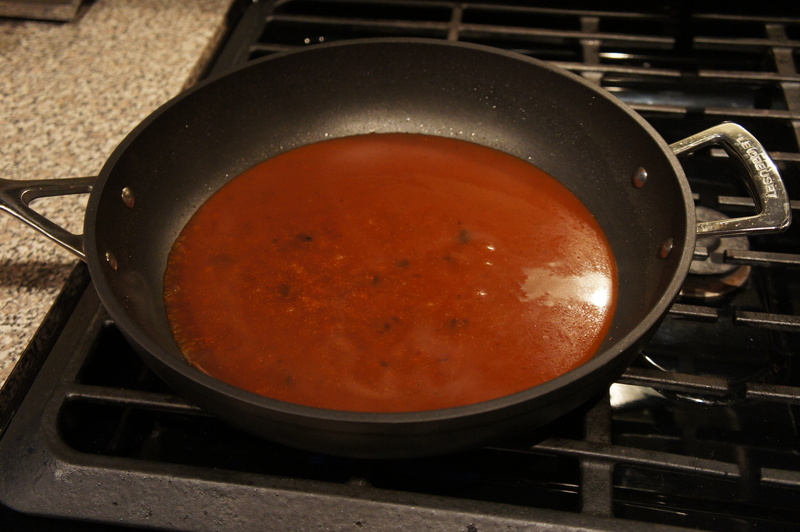 Simmer over medium-low heat until sauce has thickened, about 3 minutes. Stir in shredded pork and cook until heated through, about 2 minutes. I too have hardly any grilling skills. I usually leave that up to my boyfriend. We make pulled pork with in a smoker this summer for our house warming party (15lbs of it!) and we bought these “bear paw” tools for pulling the pork. It makes it so easy! Yum! I bet that was a party hit. I was wondering while ferociously forking the meat if there was some sort of cooking utensil out there that would make shredding easier. I’ll have to look into that! A tool to shred the pork would be a godsend…more info needed please. Thanks.